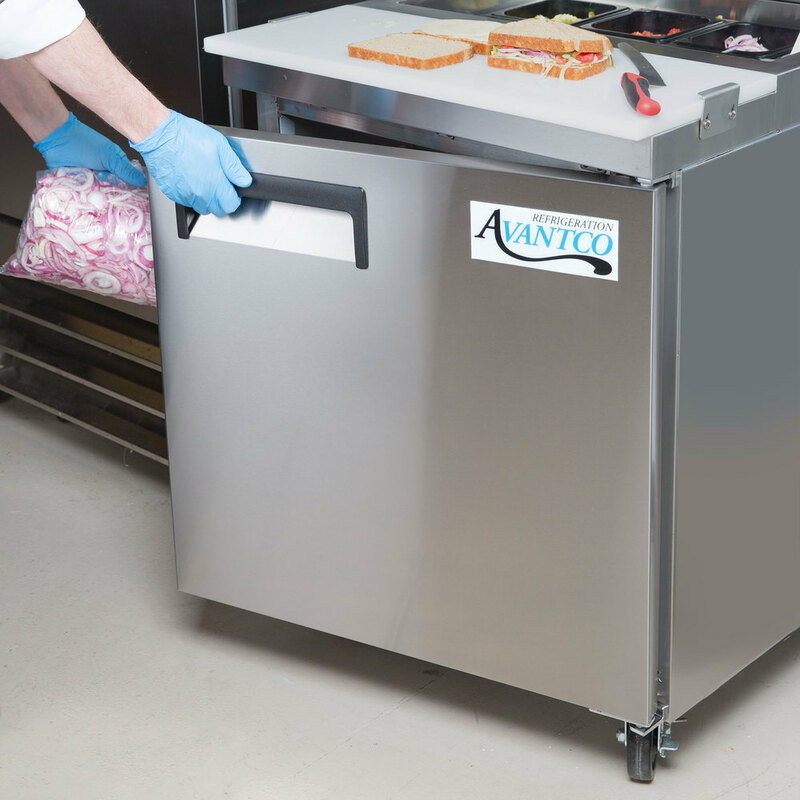 The perfect size for small kitchens or any operation that wants to add signature sandwiches and salads to the menu, the Avantco APT-27-HC 27" sandwich and salad prep table gives you the convenience of ingredient storage and plenty of prep space all in a small, space-saving footprint! 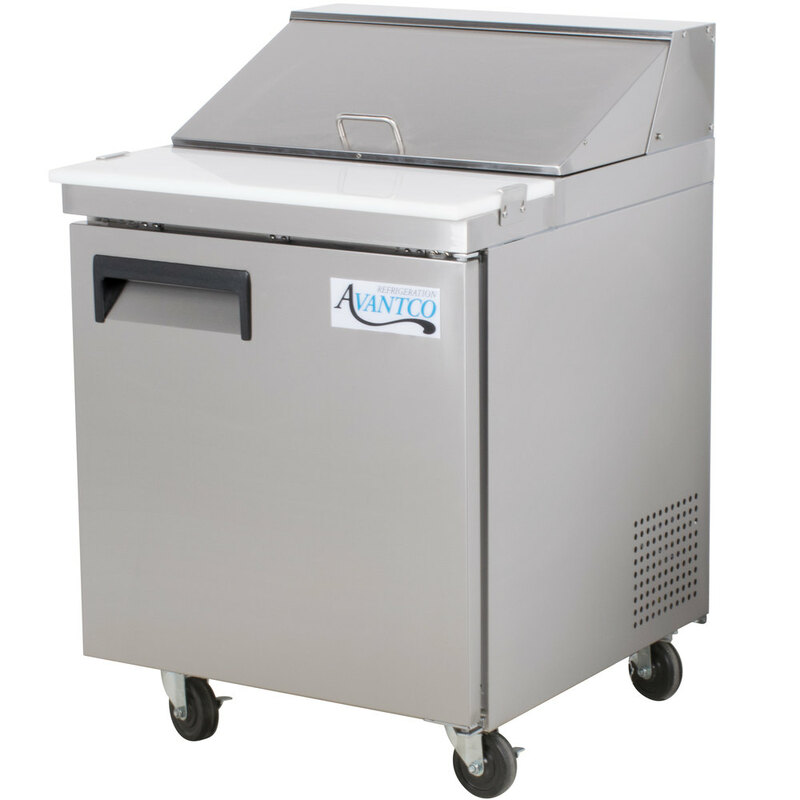 This unit features a top that can hold up to (6) 1/6 and (2) 1/9 size, 6" deep food pans full of your most commonly used meats, cheeses, and toppings, and an insulated lid to keep in cold temperatures when not in use. A 10" deep cutting board gives you plenty of space to assemble your culinary creations, and the exterior sides and door are made from 430 stainless steel to stand up to the rigors of day to day use. 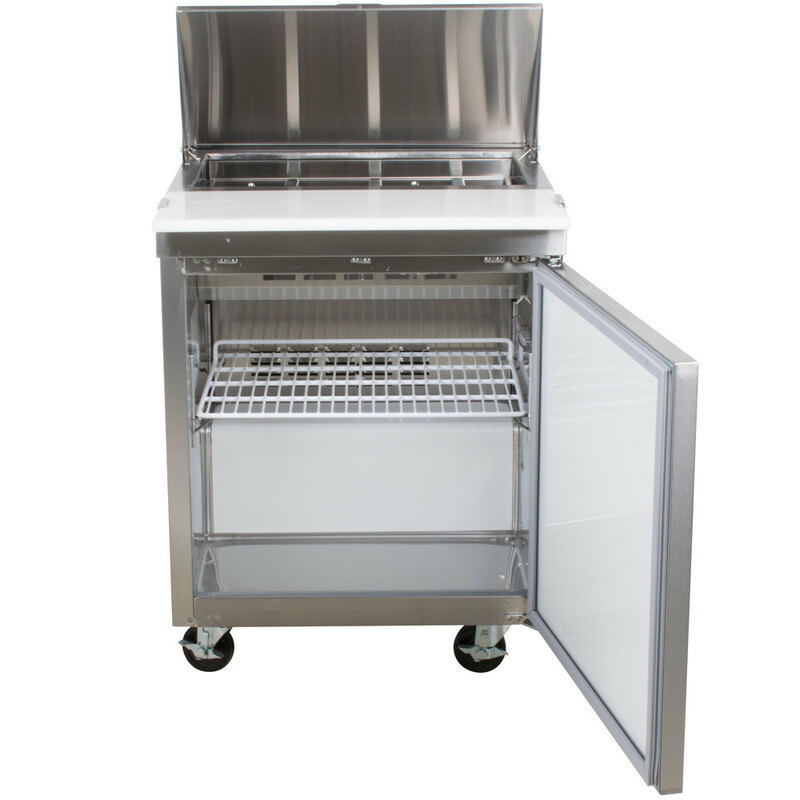 To help you spend more time at the prep line, the refrigerated cabinet base below the work area gives you room to store extra ingredients, garnishes, condiments, or topping pans, and it is made of painted aluminum for durability. Plus, an adjustable epoxy coated shelf helps you stay organized. 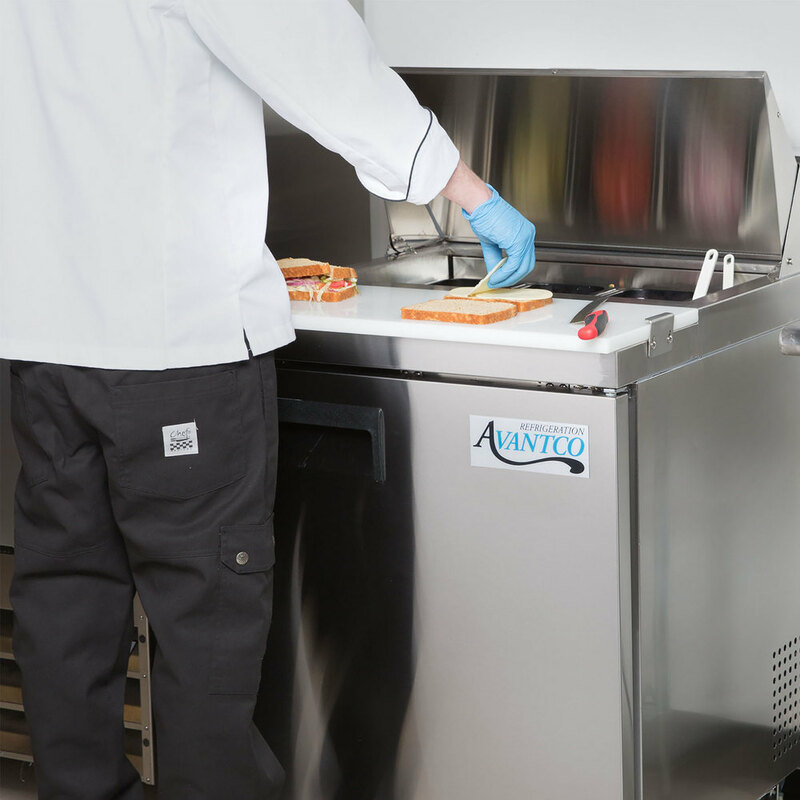 Thanks to the efficient, foamed-in-place polyurethane insulation, the unit maintains a temperature range of 33 to 40 degrees Fahrenheit. 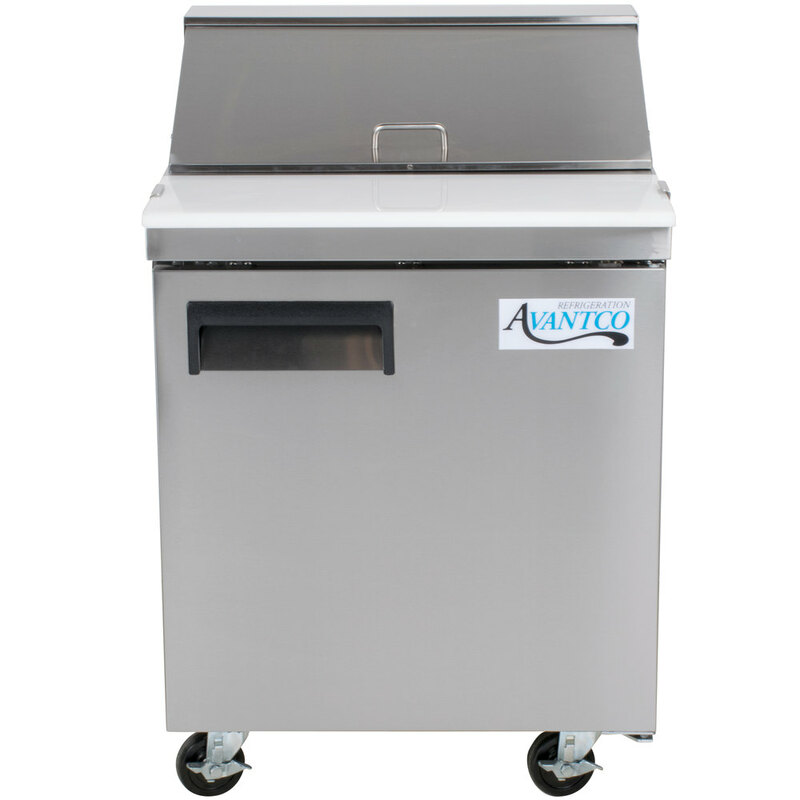 This ensures that all food held in the unit remains at a food safe temperature and is ready to serve to customers! At the end of the day, take advantage of the casters and roll the unit aside to thoroughly clean the area. 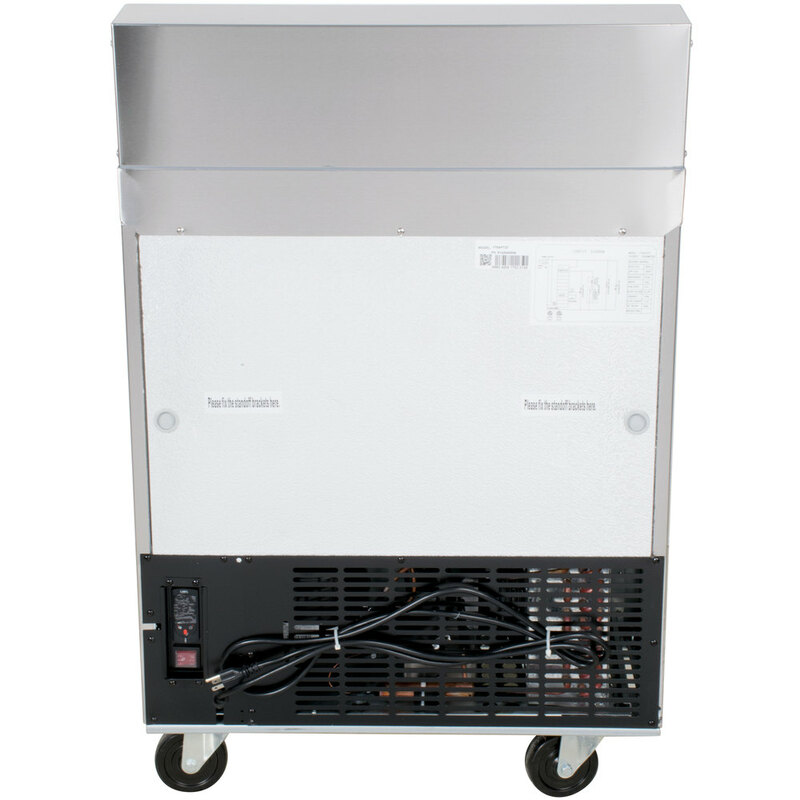 This unit ensures optimal performance by operating with a 1/5 hp refrigeration system that circulates R290 refrigerant, which is an environmentally-responsible choice for your business. It requires a 115V electrical connection for operation. 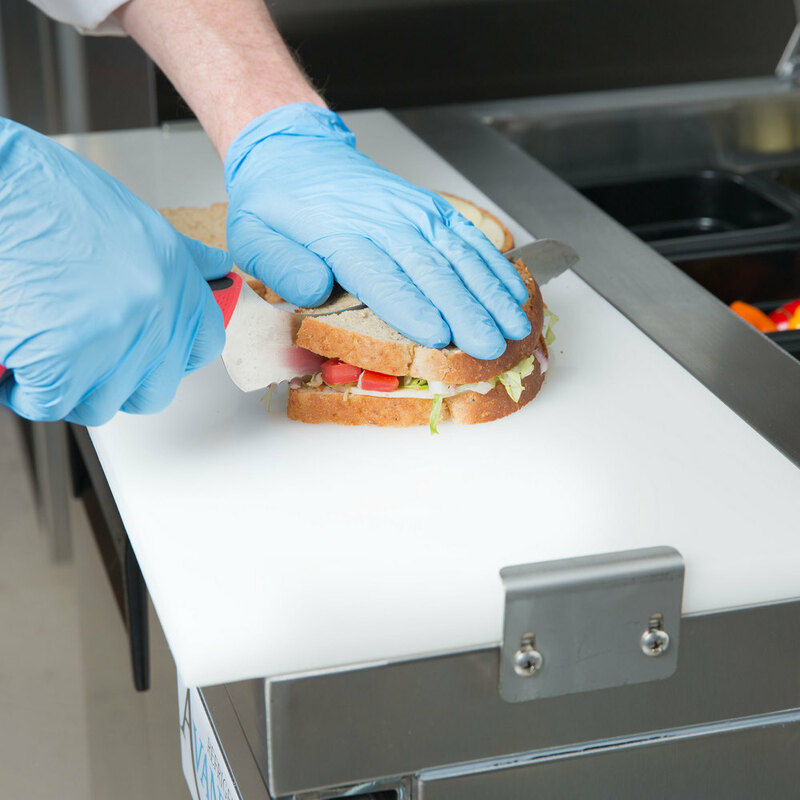 Work Surface Height: 35 1/4"
It is hard to decide from the many great products that Webstaurant offers but this sandwich prep table was the one. It has the right amount of compartments and the storage space we needed. We are so ready tu use it!!! We will recommend it!